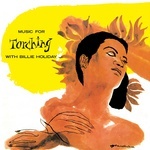 Wax Love presents a reissue of Billie Holiday's 1958 Music For Torching With Billie Holiday, the quintessential torch singer album. Sultry, smoky, and nearly perfect, this is the great Billie Holiday at her absolute peak. Featuring the subtle and perfectly complementary work of guitarist Barney Kessel, pianist Jimmy Rowles, and trumpeter Harry Edison, with an amazing cover from the legendary David Stone Martin, this is one of the greatest jazz vocal albums of all-time, beautifully repressed by Wax Love. Wax Love present a reissue of Billie Holiday's Lady Sings The Blues, originally released in 1956. Though her late career was marred by addiction and personal issues, and her chipper voice had grown raspy and hardened by the years and the pain, Lady Sings The Blues has come to be regarded as one of the finest albums of her career, despite a lack of critical enthusiasm at the time. 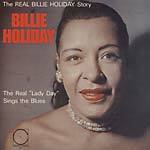 Originally released in 1956, concurrently with her autobiography, Holiday was joined for these sessions by tenor saxophonist Paul Quinichette, trumpeters Charlie Shavers and Harry Edison, pianist Wynton Kelly, and guitarists Kenny Burrell and Barney Kessel. A beautiful, smoky, and slow-burning piece of jazz vocal history. Essential. Wax Love present a reissue of Billie Holiday's At Jazz At The Philharmonic, originally released in 1954. Jazz At The Philharmonic was a concert series produced by the legendary Norman Granz all the way from 1944 to 1983. Billie Holiday performed several times in the 1940s and '50s and was even a member of the touring troupe late in her career. These sides were recorded in 1945 and 1946 with backing from legends like Illinois Jacquet, Lester Young, and Barney Kessel. Recorded at the height of her technical prowess and before her hard living affected her voice, these performances from Los Angeles and New York City are some of the finest live recordings of her career. Absolute essentials from a jazz legend. Wax Love present a reissue of Billie Holiday's Billie's Blues, originally released as Ladylove in 1962. Though she had been performing professionally since the late 1920s, as a teenager in Harlem during its Renaissance, the immortal Billie Holiday didn't play a single night on the European continent until 1954. It was in that year that the great journalist and musician Leonard Feather and a Swedish promoter organized the Jazz Club U.S.A. tour, named after Feather's wildly popular radio program. Featuring Red Norvo, Sonny Clark, and more, the centerpiece of Jazz Club U.S.A. was, undoubtedly, Lady Day. 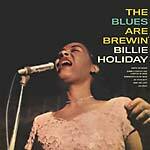 Recorded at various dates across the tour, Billie's Blues shows Holiday still had it, despite the turmoil, and drug and alcohol abuse, her voice remained strong, a stunning document of one of America's greatest treasures on her first ever tour of Europe. Includes an introduction by Leonard Feather. Reissued here with five bonus tracks. Doxy present a reissue of Billie Holiday's The Blues Are Brewin', originally released in 1958. The Lady can sing the blues! 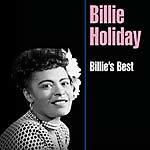 A stunning collection of traditionals and blues pieces masterfully interpreted by the great Billie Holiday. 140 gram clear vinyl; First pressing comes in an edition of 500 (numbered). 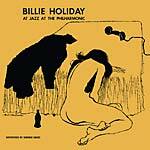 Doxy present a reissue of Billie's Best, a selection drawn from Billie Holiday's recordings of the mid-1950s, originally released in 1992. Holiday's voice possessed a unique presence, a sound that seems lit up by a resilient vitality. Producer Norman Granz set Holiday among the small jazz combos that suited her talents best, groups that included some of the finest soloists of her generation, such as trumpeter Harry "Sweets" Edison and saxophonists Benny Carter and Ben Webster. Granz also supplied ideal rhythm sections, with pianist Jimmy Rowles and guitarists Kenny Burrell and Barney Kessel making appearances here. There's more room to stretch out than was available on the early Columbia and Commodore recordings, and the results are relaxed and profound treatments of some great songs. 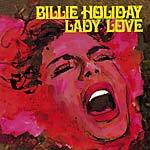 Cornbread Records present a reissue of Billie Holiday's Lady Love, originally released in 1962. Though she had been performing professionally since the late 1920s, as a teenager in Harlem during its Renaissance, the immortal Billie Holiday didn't play a single night on the European continent until 1954. It was in that year that the great journalist and musician Leonard Feather, and a Swedish promoter, organized the Jazz Club U.S.A. tour, named after Feather's wildly popular radio program. Featuring Red Norvo, Sonny Clark, and more, the centerpiece of Jazz Club U.S.A. was undoubtedly, Lady Day. Recorded at various dates across the tour, Lady Love shows Holiday still had it, despite the turmoil, and drug and alcohol abuse, her voice remained strong, a stunning document of one of America's greatest treasures on her first ever tour of Europe. Reissued here on 180 gram vinyl; Includes five bonus tracks and download code. 2017 repress of this 2014 repro; originally released in 1956. 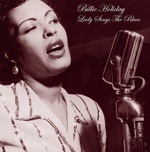 "Billie's 'Sweet Street' (52nd Street) period is represented by 'Them There Eyes,' 'You're Driving Me Crazy,' and 'T'Ain't Nobody's Biziness If I Do,' several of which she is supported by the floating tenor sax of jazz immortal Lester Young, who was Billie's long-time friend and intimate associate." From the original show announcement: "I am very proud to present now the singing star of our show. Her voice is the voice of jazz; a voice that cannot be imitated, that has become known throughout the world through a hundred celebrated records. She will be accompanied by Carl Drinkard on piano, Elaine Leighton on drums and Red Mitchell on bass. Ladies and gentlemen, the great Lady Day, Miss Billie Holiday!" "This album offers a potent reminder, drawn from three sources, of the Lady during those magic years, the 1940s and early 1950s, just before her lifestyle took its toll irrevocably. The live tracks were taped at a concert during the European tour, Billie's first (and, as it turned out, only) tour of the Continent." --from the original liner notes; pressed on Audiophile Clear Vinyl (ACV). 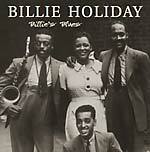 "After WWII, Billy Holiday, who had risen to fame in NYC, began to tour the West Coast extensively. The rare tracks on this album were recorded live during those post-war years in San Francisco and L.A. The tracks on side A, taken from a concert in San Francisco in the fall of 1946, find Billie at the top of her game, despite some inevitable surface noise due to the tracks being salvaged from old 78 acetates. The first four tracks on Side B, on the other hand, were recorded in L.A. sometime between 1944 and 1947, with a sextet led by the great Tiny Grimes on guitar, while the last two tunes (Easy To Love and Tenderly) were recorded sometime around 1952, with a superb back-up group featuring pianist Oscar Peterson and guitarist Barney Kessel." "In 1939 when Billie Holiday's label refused to record the highly controversial 'Strange Fruit', she did not give up, but searched desperately for a label that was not afraid to take a risk. Thankfully Milt Gabler at Commodore Records, a fledgling independent jazz label, understood the importance of this song being recorded and released to the public and soon arranged for Holiday to record a session with him. The 'Strange Fruit session' for Commodore, was one of those historic moments and part of Billie Holiday's legend hinges on the tremendous courage it took for her go ahead and record this song, knowing that it might well mean the end of her career. Three other songs, found here, were also recorded at that session: 'Yesterdays', 'Fine And Mellow' and 'I Gotta Right To Sing the Blues', while due to contractual issues, the remaining Commodore sides were not recorded until five years later in 1944." 180 gram vinyl. During the more than twenty-five years of her career, Billie Holiday gave an unknown number of live performances on TV and radio and in clubs and concert halls, many of which were recorded both officially and unofficially by sound engineers, fellow musicians, and fans. 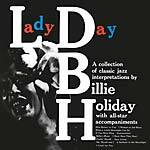 Today ESP-Disk Records, which for many years has been assembling unofficial recordings of several artists from before 1972, has released one of the most comprehensive collections of live Billie Holiday recordings to date, some previously available but most not. These Holiday recordings, laid out in chronological order, not only demonstrate the arc of Holiday’s development as a vocalist, but give a rare behind-the-scenes look into how the singer approached her musicians and her audience.